Sellier & Bellot is among the most premium makers of ammunition in the world. They also are responsible for producing well over a Billion rounds per year on average. They have been around longer than Winchester and almost as long as Remington. They are a European powerhouse ammunition manufacturer, that has a massive footprint and offers top tier ammunition to the American shooting market. 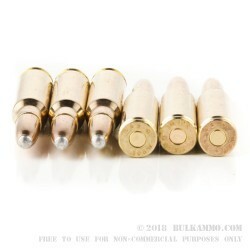 It is no surprise that when the time came for S&B to release a non-lead based projectile line, that it would take it seriously and look for ways to improve upon what’s on the market, while simultaneously trying to continue their tradition of offering a value for money portfolio, despite obvious costs increase when moving away from lead core technology. 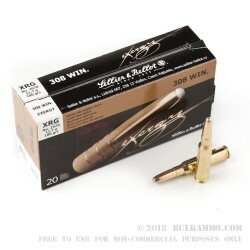 The Exergy bullet is a mashup of aluminum and copper and has an engineered design that utilizes a combination of African big game technologies and high-end match grade bullet design philosophies. 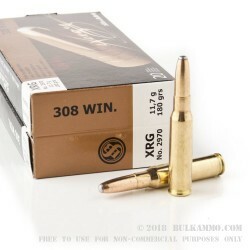 What has come of this interesting mix of engineering concepts and materials is a premium hunting projectile that is capable of performance in a wide range of game and in a wider range of conditions. This 180 grain projectile achieves 2615 feet per second velocity and 2734 ft. lbs. of energy at the muzzle and offers controlled, expansion and significant penetration on target.